GT3 mk1 or 993RS, which one would you have as a weekend car and occasional track day car. Oooooh 9M heads, theres a thought. What a beast that would be. The 993 certainly held it's own�amongst the 996's and sounded�great too. 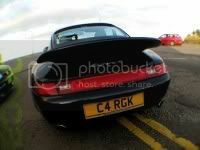 I'm sure on a fast circuit such as Bedford or Silverstone, the GT3/RS will no doubt leave the 993RS for dust. However on a circuit with little straight and lots of twisty bits such as Oulton, the 993RS can probably just about keep up. But a 993RS with 9M heads + bits, well that's another story! The 993 certainly held it's own amongst the 996's and sounded great too. look at all the extra aero's on the 996 ! ......erghhh wot.....as standard OEM spec what do you consider to be epic? Straight out of the factory the only thing faster is a Turbo or GT2. And I don't want to get into a PH argument over which is better. If we're talking tuned or tweaked that opens a whole new can of worms. Anyway a standard GT3 Mk1 or 2 is more than most can handle proficiently anyway. Which is why I never get out of 3rd gear even down Hanger Straight & why anybody with half a clue how to drive laps me on most circuits. OK, so my choice would be a 993RS based on looks, rarity, nil depreciation ?, and it being slightly cheaper in lhd guise and don't get me wrong I would love a GT3. And to take it one step further based on performance and lesser cost would a well sorted standard carrera 2 ( exclude 9m bits) be far behind the RS. With the same driver the RS would be slightly ahead but not by miles on the road. It has better suspension (harder) and more powerful 3.8l engine as well as being lighter. The difference become a lot more obvious on a track. are they available for the same price? "Probably the best looking 911 of all time"
One for the true purist, ranks up there with the original RS, and will probably command the same sort of prices in 20 years. 993 RS is where its at ! GT3 just does not have the lines/looks of the RS ! 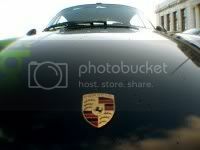 surely most gt3 drivers buy the car for the driving experience/dynamics rather than the looks? If so then surely the more recent the car the better it is?